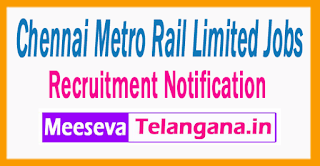 Chennai Metro Rail Limited Has Invited Application Form For 02 Architect. 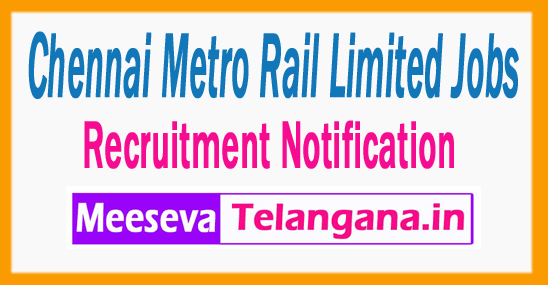 All Eligible Candidates Are Required To check Eligibility details for CMRL Attend walkin Interview Before Or On 01-07-2017 All Candidates Who Are Applying For CMRL Recruitment 2017 - 02 Architect, Should Check Vacancy Details Like - Educational Qualifications And Experiences Requirement, Exam Pattern, Syllabus, Age Limit, Selection Criteria, Admit Card, Results, Exam Date, Before Applying. Salary &Grade Pay: INR Rs. 40,000/-. Chennai Metro Rail Limited, CMRL Depot, Admin Building, Poonamalee High Road, Koyambedu, Chennai - - 600 107. Date and Schedul: of walkin interview: 01-07-2017 .